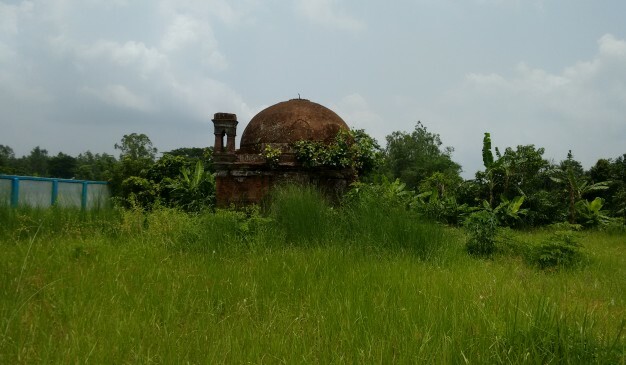 Autshahi Mughal Mosque,is a ruin of Mughal period Mosque, just located beside the Autshahi (আউটশাহী) Graveyard. It’s silently containing the evidences of ancient time. People are avoiding to visit that site frequently as it is inside the boundary of graveyard. It has two entrances and one bulbous shaped dome on the top. Basically, from the structural remains it would be very difficult to prove how it was being used or how it became so. It’s not so far from Chander Bazar. After crossing the Muktarpur bridge you may ride on a auto-rickshaw moving toward Tongibari bus-stop. From there another auto rickshaw or CNG auto rickshaw will bring you to Chander Bazar of Autshahee Union. At Chander Bazar, there are several vehicles awaiting for public communication. You may ask to take you to the Autshahee Graveyard. Kismat-Maria Mosque (কিসমত-মারিয়া মসজিদ) is the academic name, where local people knows this as Durgapur mosque (দুর্গাপুর মসজিদ). The mosque is located at the Maria (মারিয়া) village, adjacent to village Kismat (কিসমত), that's why it is called Kismat-Maria Masjid. It is totally unknown about any sort of historical information. No inscription available at the doorway or anywhere. Even the government doesn't have any document or info regarding this. To add insult to the injury, the local people cannot remember anything about this mosque either. It’s a total mystery. It is certain that the mosque was built several hundred years back. It is having three domes at the top. Four ornate pillars at the four sides of the mosque. Eastern side of the mosque is having three entrances. The mosque is built over a 2-3 feet of high base. 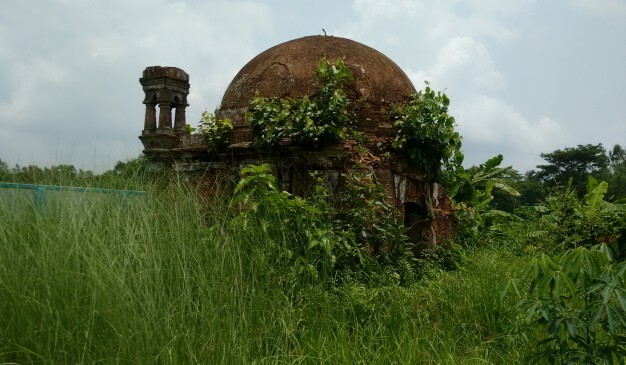 The domes of the mosque is similar to the Kartalab Khan's Mosque at Old Dhaka. The mosque has a small house type of building at the southern side. This is another great archaeological object from our Bangladesh. 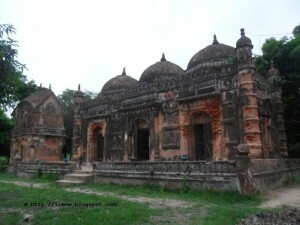 Hajiganj Fort (হাজীগঞ্জ দুর্গ) also called Khizrpur Fort, situated at Hajiganj locality of Narayanganj on the western bank of the Sitalakshya (শীতলক্ষ্যা). Having the characteristics of a water fort, it was originally built just at the point where the old Buriganga (বুরিগঙ্গা) discharged into the Sitalakshya. It may have been built soon after Islam Khan established the Mughal capital at Dhaka, and was intended to countercept the raids of the Magh and Portuguese pirates. 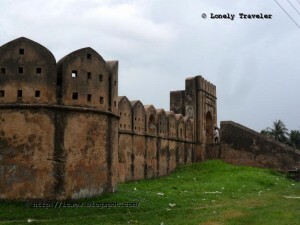 The fort, quadrangular in size, consists of a pentagonal curtain wall machicolated for muskets with rounded corner bastions. On the inner side of the curtain wall there is 1.22 meter high rampart walkway from the base of the curtain wall which is itself pierced by several musketry holes. Each of the corner bastions has staircase inside up to the rampart level and its merlons have wider holes in between meant for gun firing. In a corner of the fort quadrangle there is a free tall square column of brickwork which seems to be a guard tower. The existence of this column links the fort with other water forts of the time. The existence of the elevated platform for the setting of cannons is an important feature of the fort. The only small gateway of the fort towards the river side suggests that the means of communication was by the river. The pentagonal gateway is placed in a rectangular structure with engraved rectangular arches on the both sides. The top of the gateway is decorated with lotus finial. There having no other structure inside the fort, it seems that the fort was occupied only in the rainy season when the pirates were expected, and that the occupants used tents as their shades. 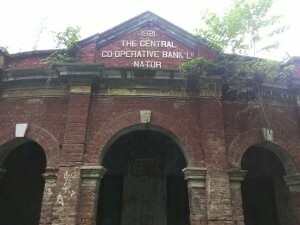 The fort area is now being used as the Fire Brigade headquarters of Narayanganj. Autshahi Moth (আউটশাহী মঠ) is a spiritually very prominent Hindu Religious structure among the local community. Local Hindu people has a strong belief and they always practice some rituals centering two temple, built at the base of Moth. Two temples containing distinguished deities. One is occupied by Devi Durga and another one is a fusion between Lord Shiva and Devi Parvati. 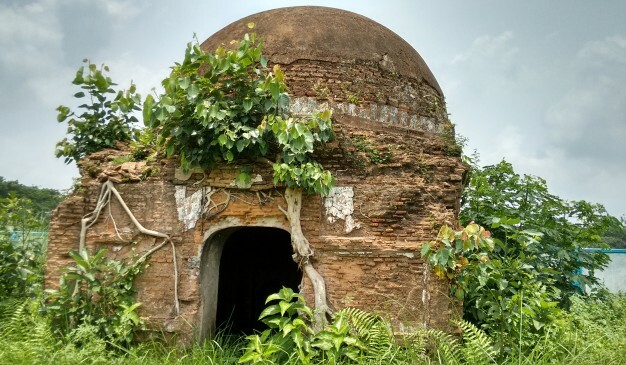 It is About 300 Years Old an island stylistic Moth,Beside Autshahi Radha Nath High School at Chander Bazar, Autshahee, Tongibari, Munshiganj. 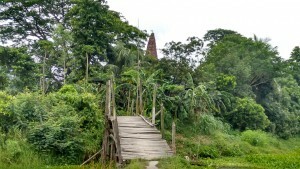 If someone wants to reach there at the temple, then there is no other options except the subway of wooden bridge which connects this feature with the highway. 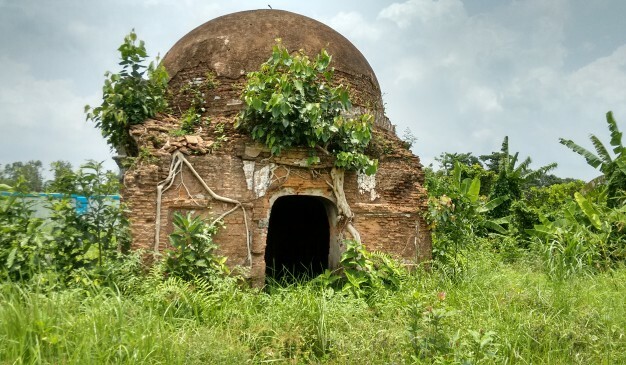 In the early 18th century Bijoyram Kor built this temple covering his mother's tomb. Struck by different natural calamities, this temple lost its surrounding parts, even it gets curve leaving shape on its exterior.